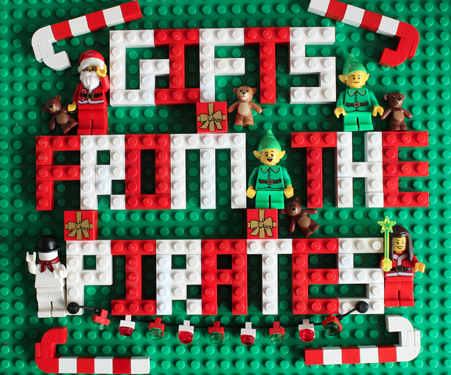 Gifts from the Pirates: Then he got an idea! An awful idea! THE GRINCH GOT A WONDERFUL, AWFUL IDEA!" Then he got an idea! An awful idea! THE GRINCH GOT A WONDERFUL, AWFUL IDEA!" Despite what Mrs M thinks I'm no Grinch, My heart is just the right size (even if I'm not a big fan of Christmas music). We've still got loads of posts coming about the holiday but as its December the 1st and we love Christmas the holiday header had to go and needed to replaced with something a bit more festive. I really hope you all have an amazing build up to the big day and hopefully we can keep you entertained along the way with festive craft and our usual family shenanigans. "The trick is growing up without growing old."